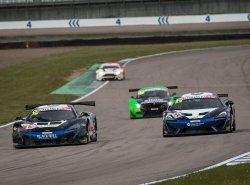 McLaren GT Factory Driver Rob Bell showcased the pace of the 650S GT3 in the British GT Championship round at Rockingham Motor Speedway this weekend, co-qualifying on the front row. 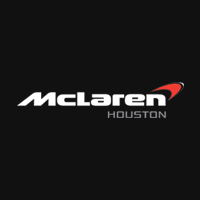 In the race, he and teammate Alasdair McCaig steered the #79 Black Bull Ecurie Ecosse McLaren 650S GT3 to P7 in the race for a solid points finish. In only its second ever race, the 570S GT4 showed front-running pace all weekend, qualifying P3 in the class and finishing P5. The qualifying sessions on Saturday were extremely promising for the cars run by customer team Black Bull Ecurie Ecosse. Bell and McCaig narrowly missed out on pole position by less than a tenth of second, qualifying the 650S GT3 in P2 with a combined time of 2m 33.553s (+0.038s). The 570S GT4, driven by Ciaran Haggerty and Sandy Mitchell, made its second appearance as part of the continued development programme, qualifying P3 in the GT4 class with a 2m 46.300s (+1.212s). McCaig started strongly in the 650S GT3 holding station in P2. However, the initial strong pace shown throughout qualifying and the opening laps could not be maintained as the race progressed, and Bell took over for the second half of the race in P7. Despite a podium finish out of reach, the experienced Brit fought hard to retain position, securing valuable points for the Championship. 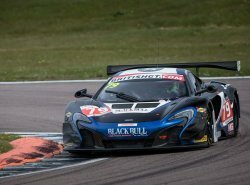 The #59 McLaren 570S GT4 started on the second row of the GT4 class but fought through to take the lead by half distance. After a driver change and returning to the track, the team was forced to give up the lead after being handed a penalty for a pitstop infringement. Despite this setback, the 570S GT4 completed the second development race of the season, crossing the line to secure a solid P5.